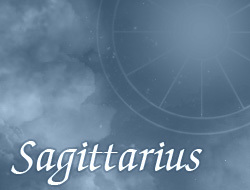 Sagittarius very well deals with all financial difficulties. Usually when lack of cash appears, they can look at it with optimism – believe that their situation will improve soon. They are able to be very thrifty – particularly when they live alone. Unwillingly take credits and loans, because belong to persons, who usually don’t complain about the lack of money in their life. However, they often dream about bigger earnings, and in some cases decide to work exclusively for money.